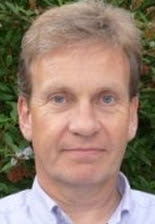 This week's guest post is by Genealogists for Families team member Stephen Daglish from Buckinghamshire, England (United Kingdom). A love of music but a sad lack of talent led me into a career in the administrative side of the music industry, working in areas such as rights, repertoire and royalties. This has also given me an opportunity to travel extensively around the world. My interest in genealogy was inspired by my wife's cousin from New Zealand. He researched her family tree and eventually persuaded me to look at mine. Having reached a road block, I began a one-name study which looks at the history of the surname, worldwide. I am also Registrar of the Guild of One-Name Studies. Through the LostCousins newsletter (an excellent read, and very informative). I find this an excellent way to use our interest in family history to connect with people looking for opportunities who can inspire us with their vision for their families and future. My wife and I found that both our families moved to London in the Victorian era, setting up family businesses within a few streets of each other. We know that they needed help to set up and grow their businesses  so we tend to look for borrowers who may be working in similar trades. Not really. I started with one loan and when that was part paid back I added enough to make another. I have just made my third loan. I have also used a Kiva card as a gift - a nice way to get others involved. Daglish One-Name Study (www.one-name.org/profiles/daglish.html), which has links to the fledgling Dalgleish study. Your main family history interests? My time is mostly devoted to my one-name studies for DAGLISH and DALGLEISH. Having worked on the Daglish name for many years, DNA testing confirmed the suspected but until then unproven link to the Scottish Dalgleish, and this is proving a new and interesting challenge. Stephen, I forgot to say that to see a description of the register, bundle or whatever, you need to enter the reference (A/52866, JUS/103 etc) in the 'Previous System ID' field of 'Advanced Search' on www.archivessearch.qld.gov.au/.